In conditions that would make Florida oranges freeze, the Yachtsmen beat Cape Elizabeth on Wednesday 8-2 in seven innings. 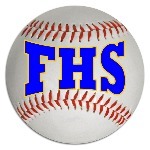 Falmouth scored three runs in the fifth on a single by Garret Aube, an RBI single by Connor Aube, and an RBI single by Robbie Armitage. Aube had a hot bat for Falmouth. Aube went 2-4 and scored two runs. Cam Guarino got it done on the bump on the way to a win. He allowed two runs over seven innings. He struck out two, walked four and surrendered six hits. Marshall Peterson was charged with the loss. He lasted just four innings, walked two, struck out two, and allowed five runs. Falmouth went up for good in the first, scoring one run on an RBI single by Colin Coyne. Falmouth brought home one run in the third inning, and matched that run total in the fourth. In the third, the Yachtsmen scored on an RBI double by Hogan Tracy, plating Colin Coyne.